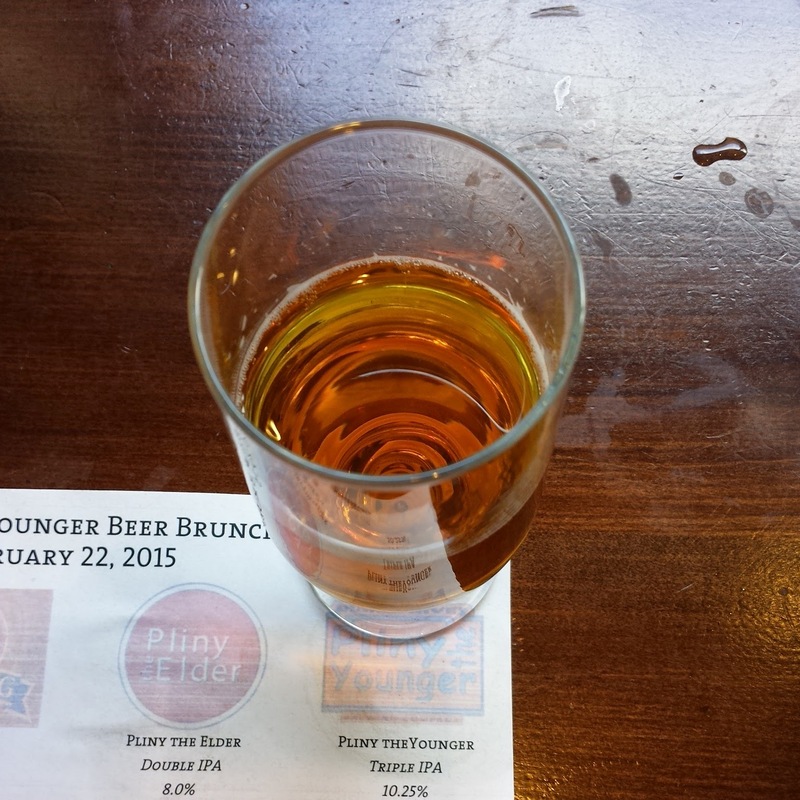 Around this time of year, many beer geeks are eager to drink Russian River Brewing Company's Pliny the Younger. Three years ago, I had my first taste of Pliny the Younger and was hooked. 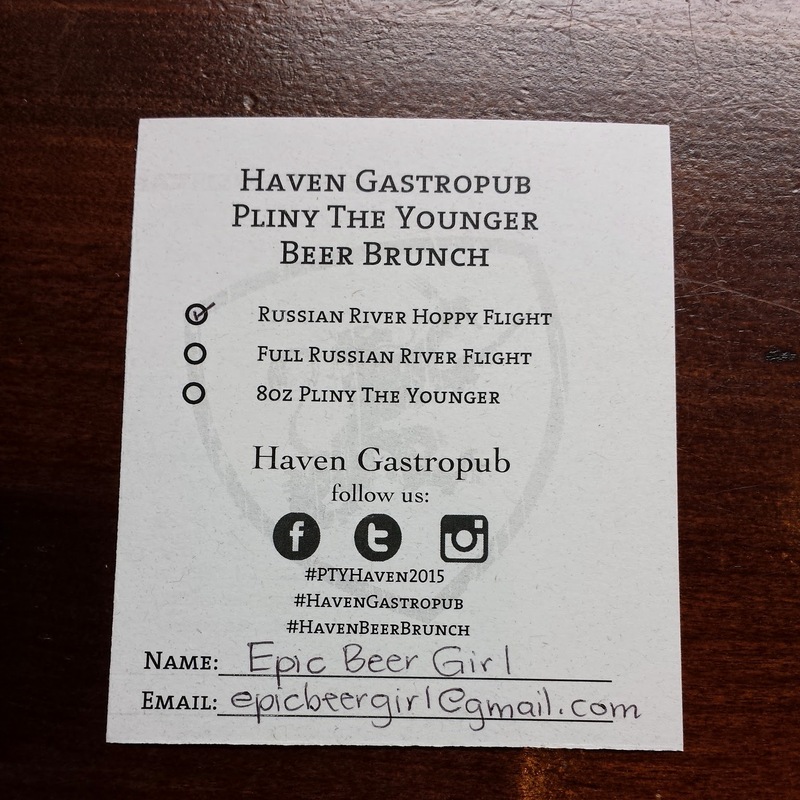 My first and most recent experiences with Pliny the Younger were both at Haven Gastropub in Orange, California. The first year I had it was on a holiday, so the line was very manageable. The past two years, I was spoiled to have Pliny the Younger at one of my favorite craft beer spots, Kilarney's in Riverside. Sadly, Kilarney's in Riverside closed last year, so, to keep my now annual tradition alive, I needed to find a new place. 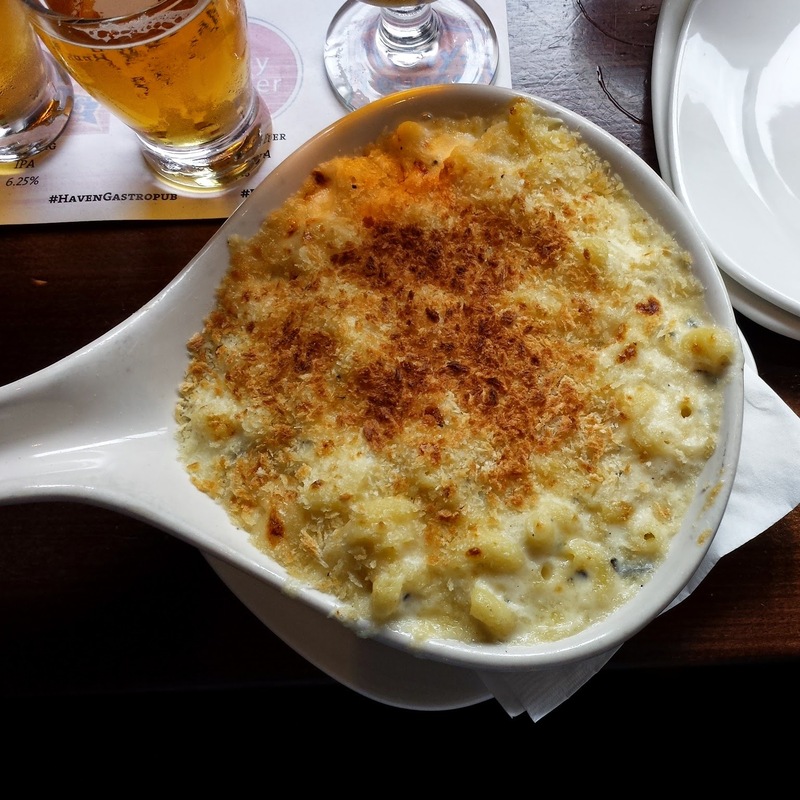 Haven Gastropub announced ahead of time when Pliny the Younger would be available, so plans were made to get there prior to opening. At first, I thought getting to Haven an hour early would be plenty early enough. When I woke up on Sunday morning, I quickly scanned Instagram to see if anyone was already in line. 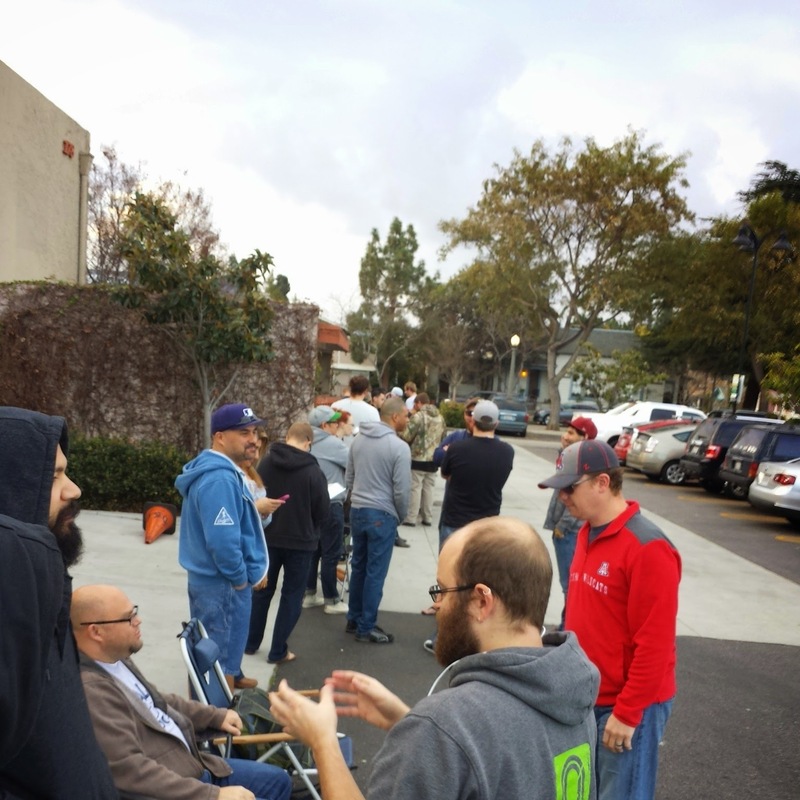 Two people had already posted photos of the line by 6:30 a.m. and said about sixty people were already in line! So, the plan of arriving an hour early quickly turned into hurrying up to get there as soon as possible. My boyfriend and I got to Haven Gastropub at 7 a.m. and found the line slowly growing. The end of the line at 7 a.m. Waiting in line was very enjoyable, especially since some of our friends joined us. 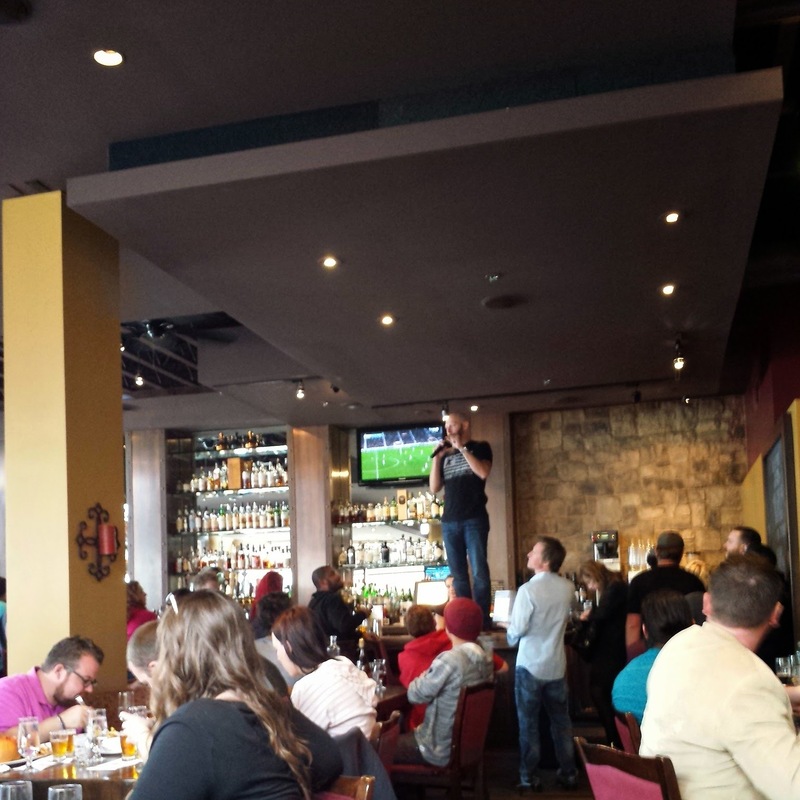 One of the partners of Haven Gastropub, Wil Dee began checking the line to see if everyone in line would be able to get a pour of Pliny the Younger. 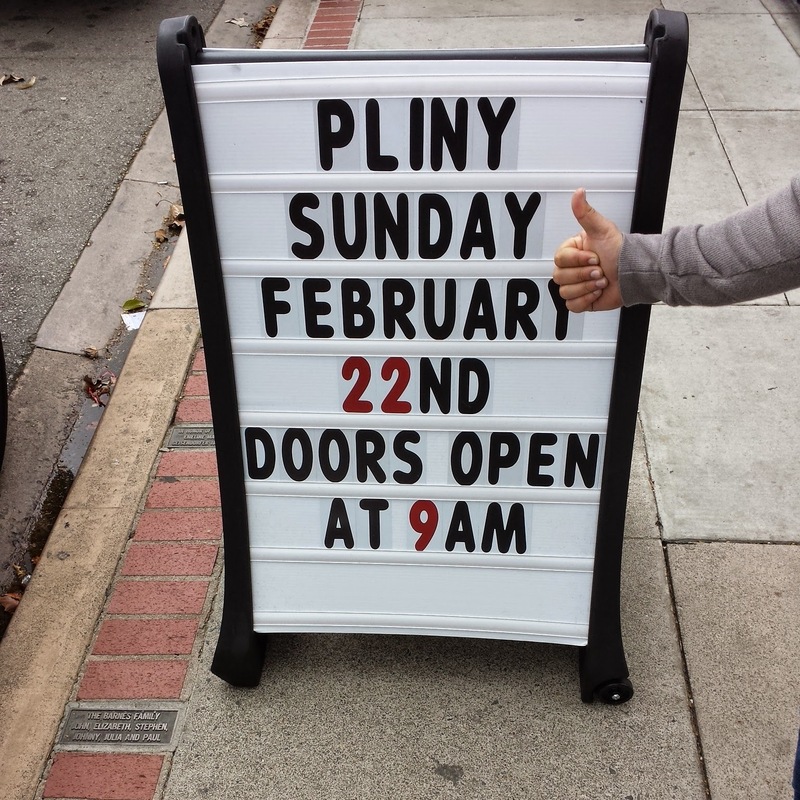 Prior to the 9 a.m. opening time, Wil let everyone in line know they would more than likely be able to enjoy Pliny the Younger. I really appreciated the fact that updates were given throughout the morning! 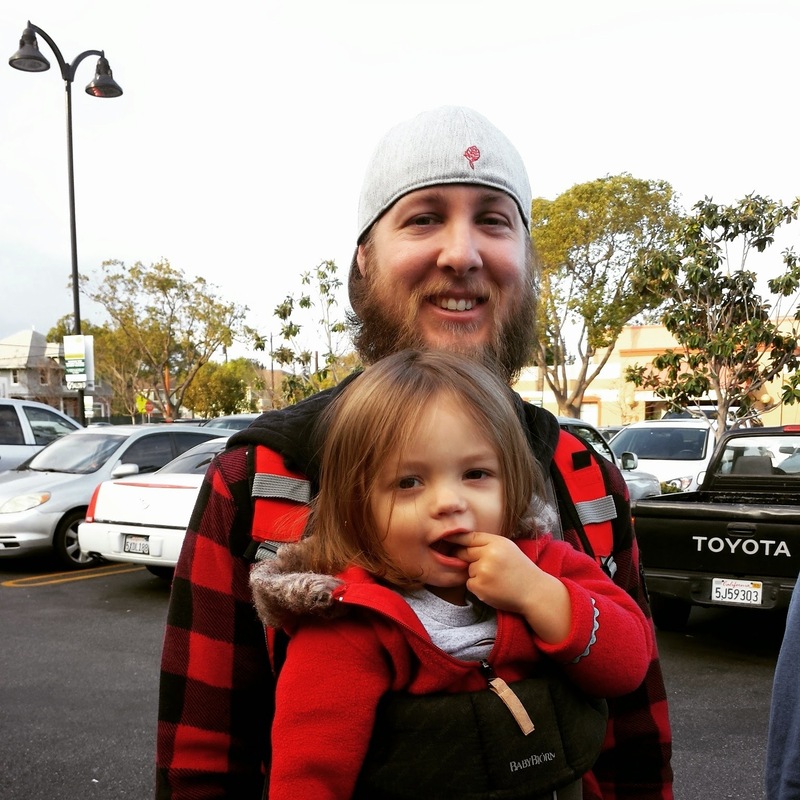 One of the youngest Pliny the Younger fans, who helped entertain me. After four and a half hours, our group was seated! When we entered the restaurant, everyone was handed a card where there was room to write your name and e-mail address. Clever way to order flights and enter a surprise raffle! 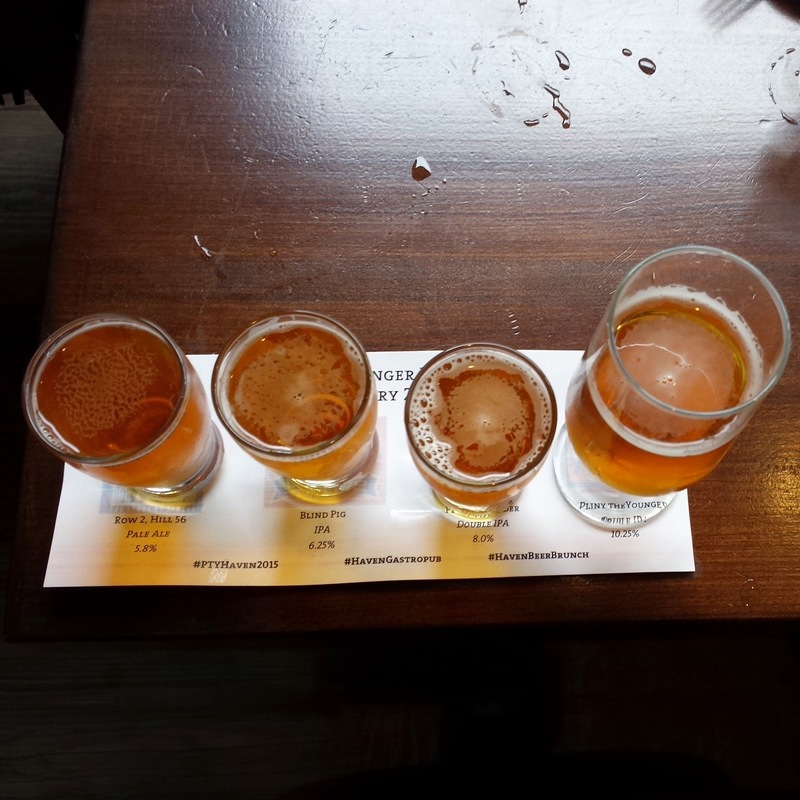 There were three options for partaking in Pliny the Younger. People could have it on it's own or two different flights. Besides the beer, both the regular menu and brunch menu were available. After enjoying our food and beer, Wil announced that there were ten pours of Pliny the Younger left, and the small cards everyone was handed would be used for a raffle of the last pours! I thought this was a unique way to end a fun event. Although many people, myself included, feel that waiting for a beer is kinda silly, I had a great time. Haven Gastropub was very well organized and having friends to share the experience with only added to the epic day! I can't wait for next year and to try one of my favorite beers again. Cheers to Pliny the Younger!